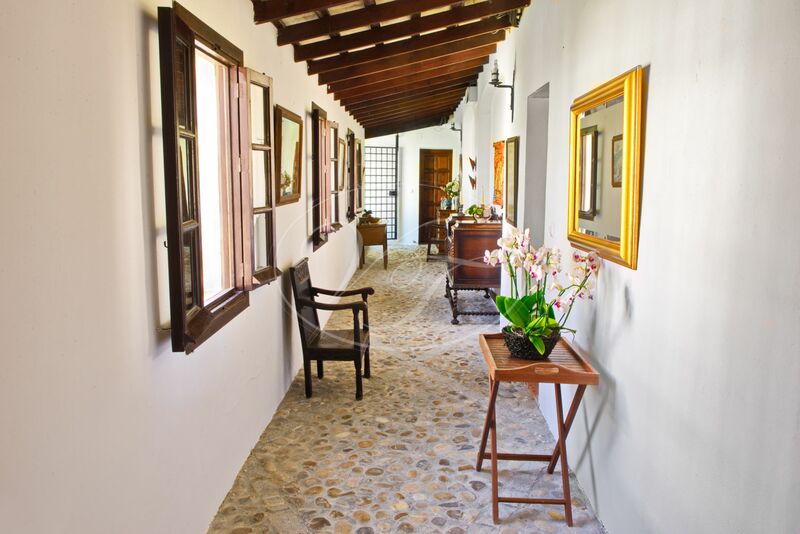 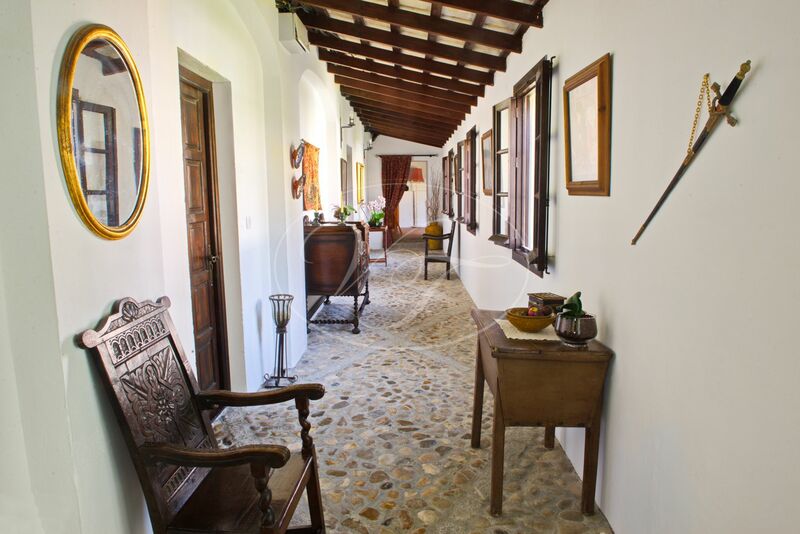 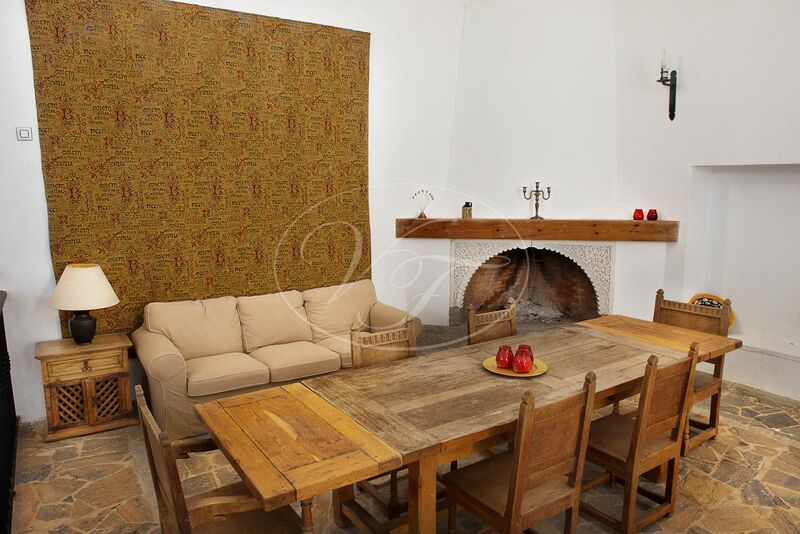 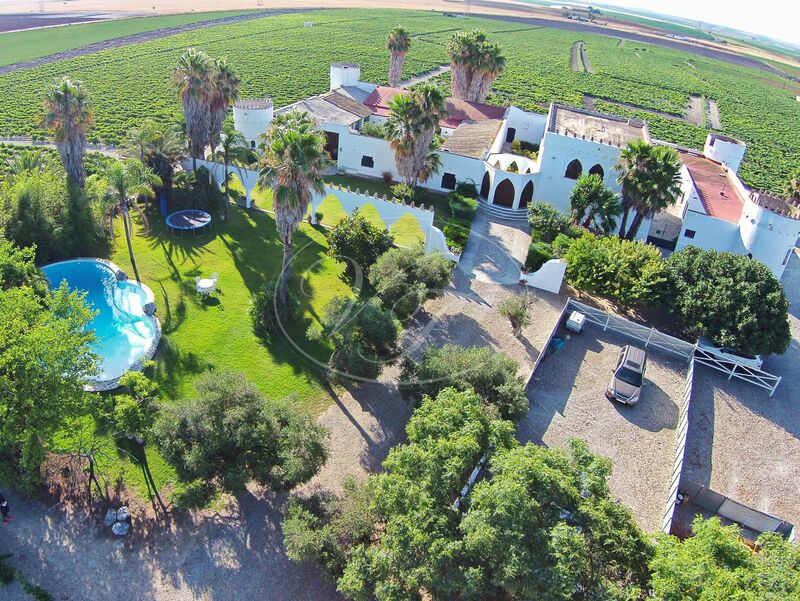 Beautiful 18th-century country estate near San Lucar de Barrameda, Cádiz, Andalusia; set in nine hectares of fully working vineyards. 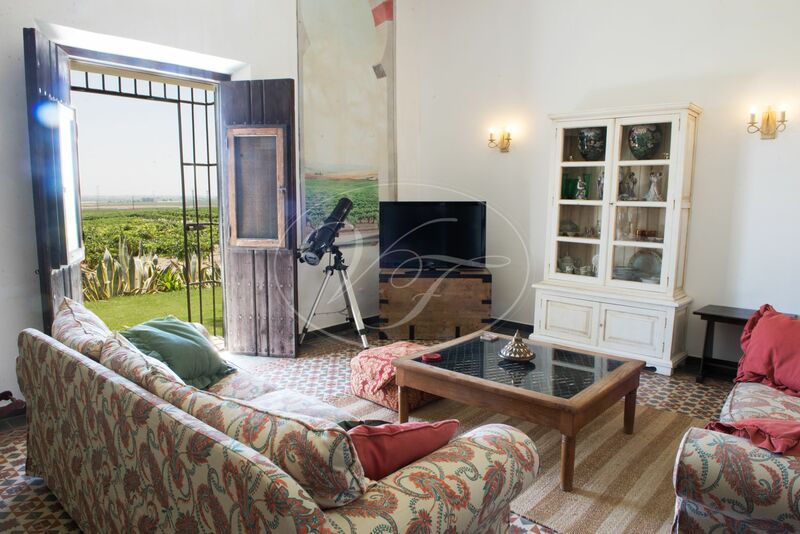 Access to the property is on a 1km road with 360° panoramic views. 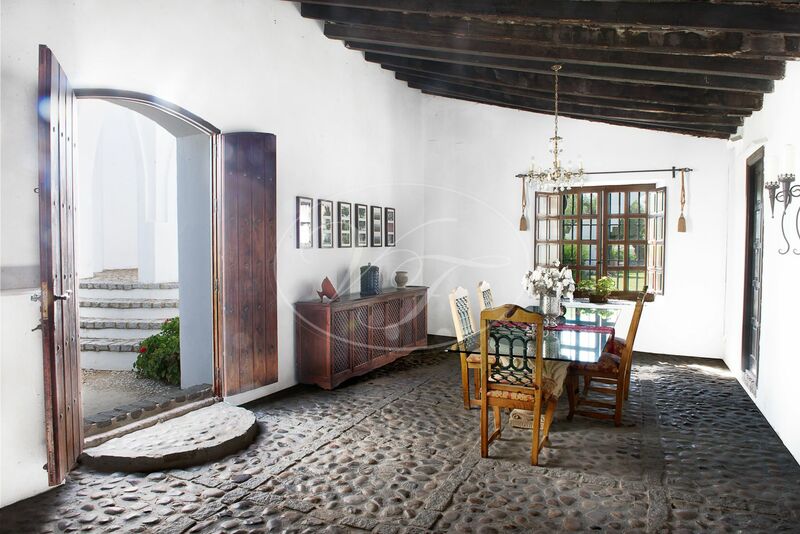 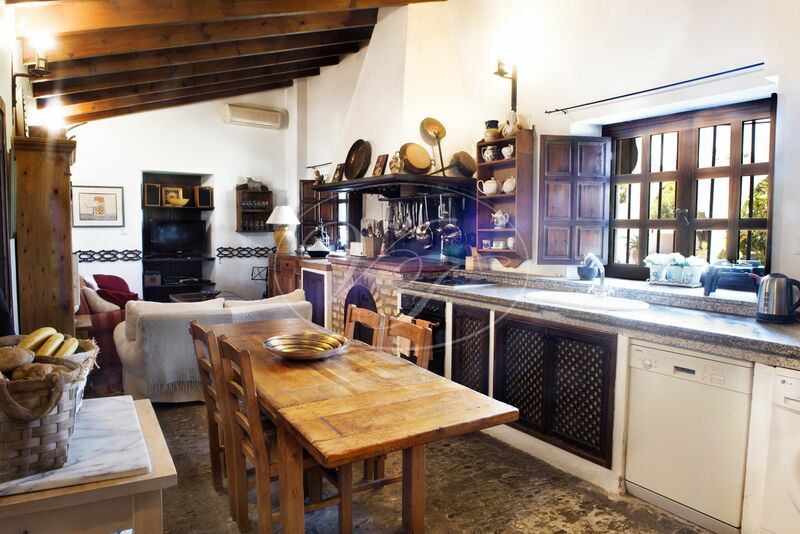 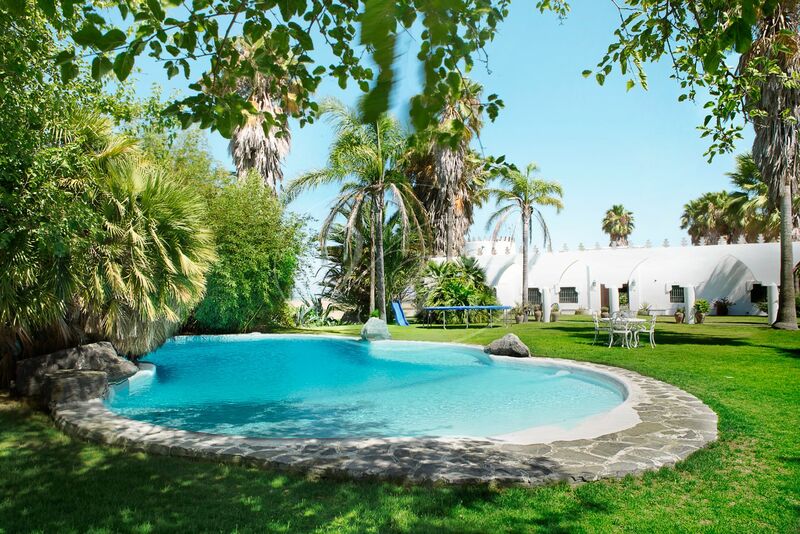 As you come upon this property, you have views of this exquisite finca with ample parking, surrounded by wonderful orchards, old olive trees and vegetable gardens. 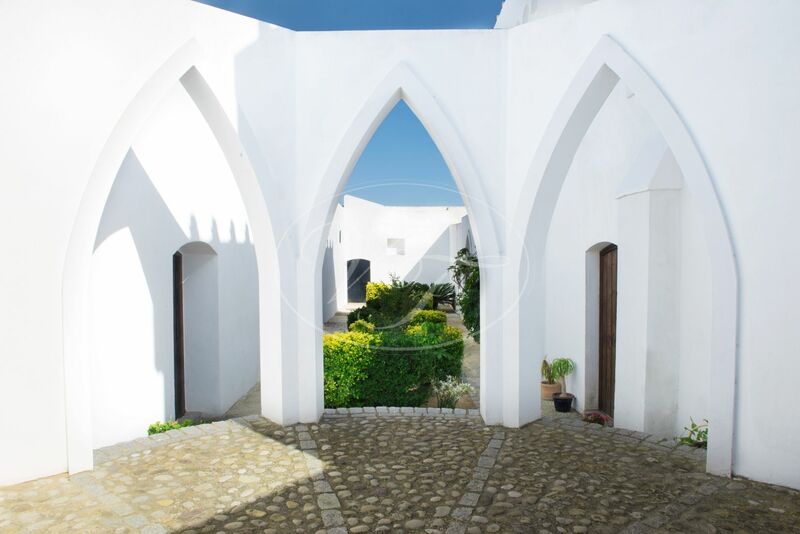 Located in the so-called sherry triangle of Sanlúcar de Barrameda, Jerez de la Frontera and El Puerto de Santa María. 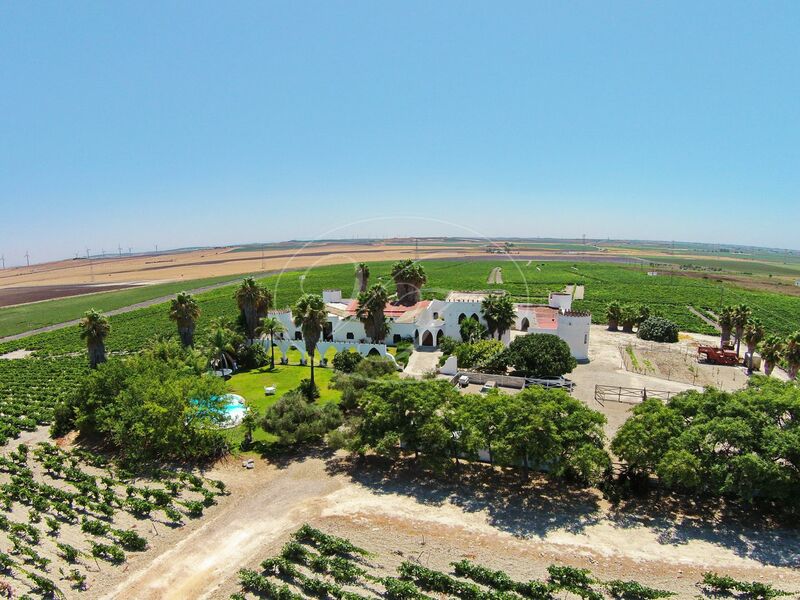 The vineyard grows the Palomino, Cabernet, Merlot and Tempranillo grapes; these last three on 5000m² of the land, provide red wine to the house. 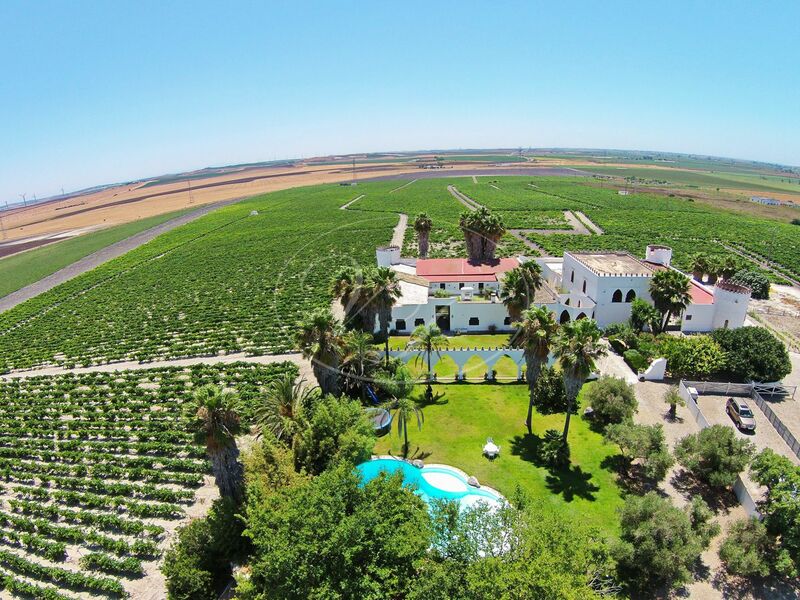 All of these are planted on the famous Albariza white soil, these grapes are continually classified at the top of the areas wine growers, and have also been used in an award-winning sherry called Mira La Mar. 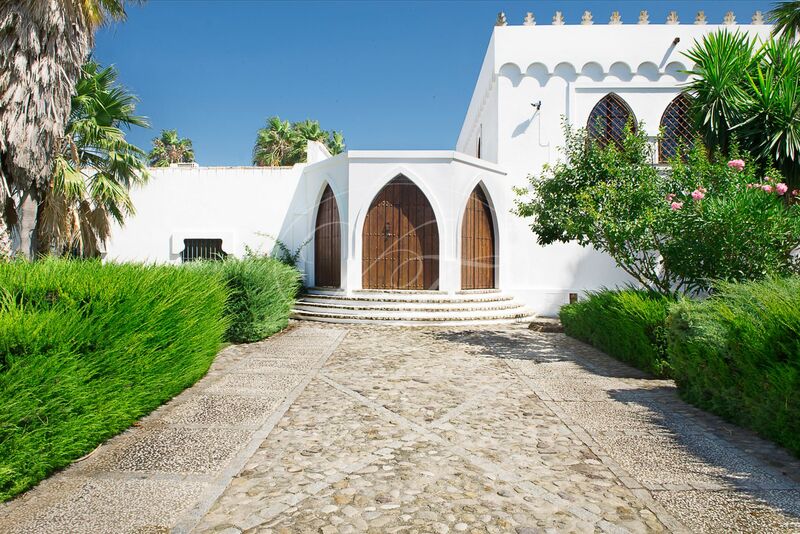 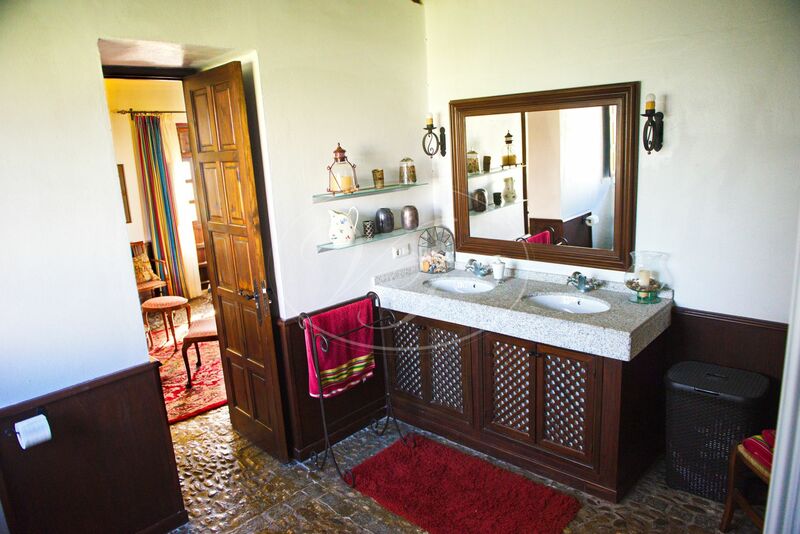 The main house of 961m² has been built around a large courtyard with an ancient Moorish well in the centre. 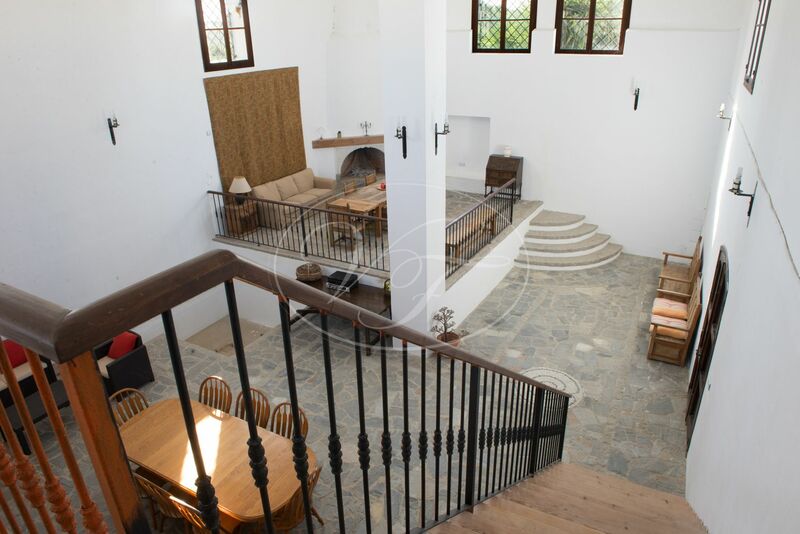 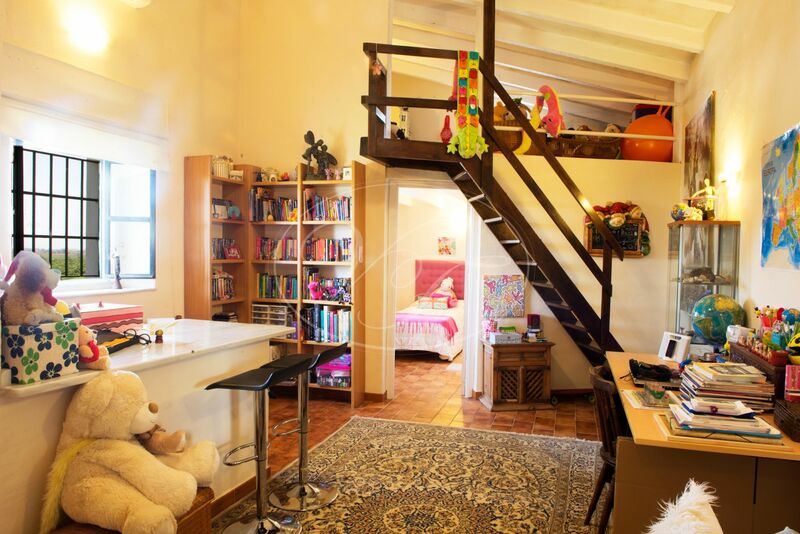 It comprises of seven bedrooms and five bathrooms in total. 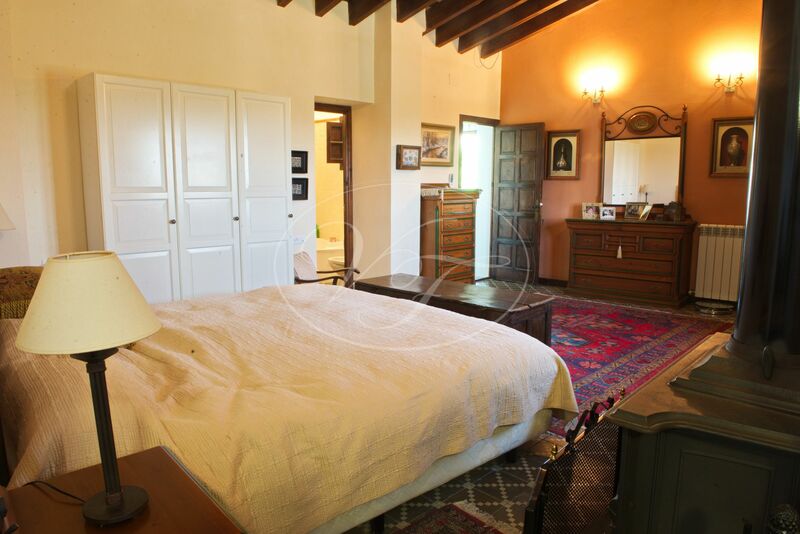 Three of the bedrooms with en-suite, which two of which are located in the house’s towers. 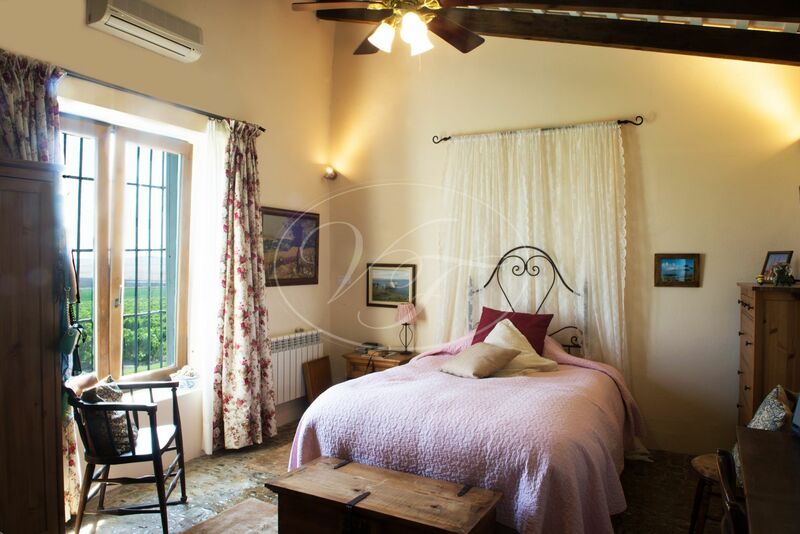 A large kitchen/dining room with a wood-burning pizza oven; large formal dining room; living room with spectacular views of the vineyards and the Great Hall. 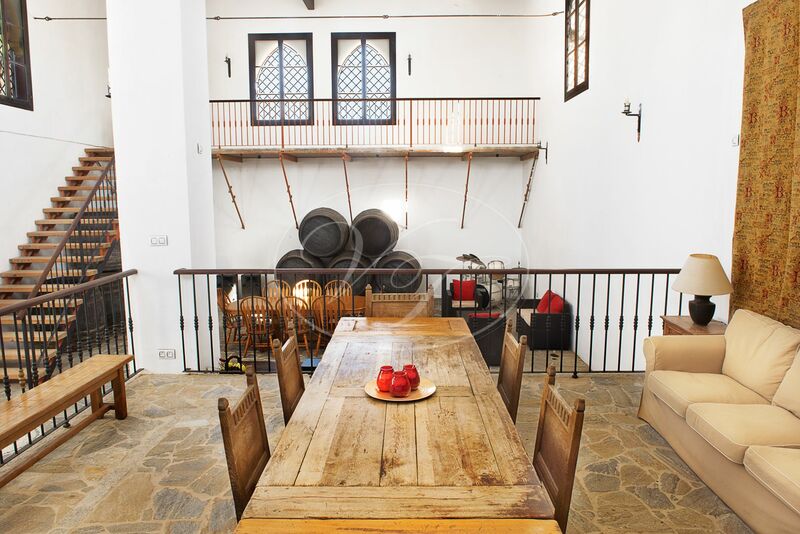 This has been used in the past for special occasions such as celebrations and Christmases, and at another time it used to be the wine cellar (bodega), where Sherry was made. 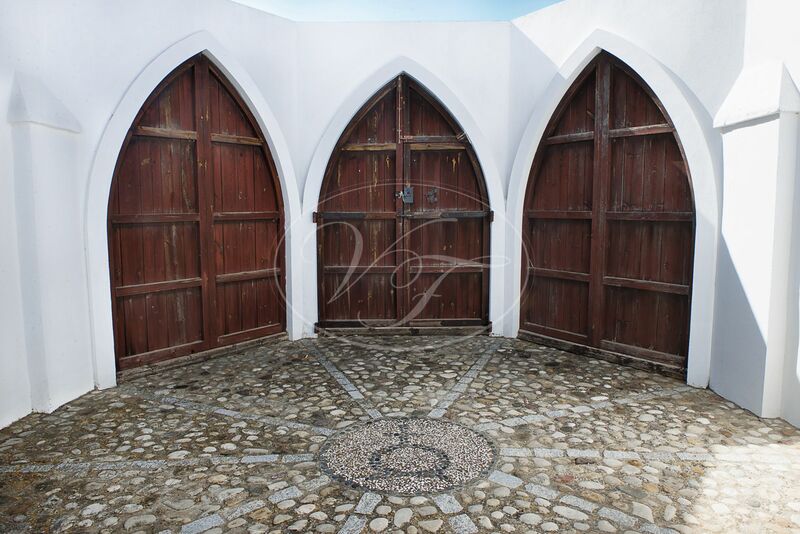 Some of the original barrels are still stored there. 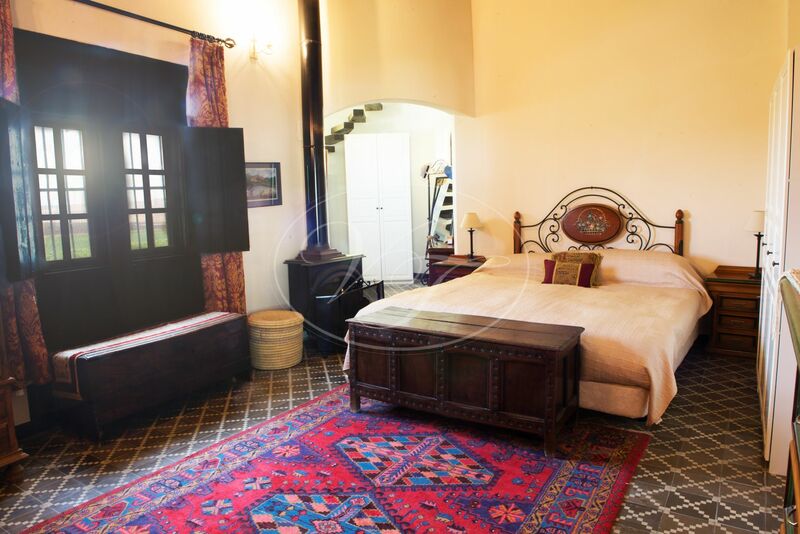 The roof of this room was used as a helicopter landing. 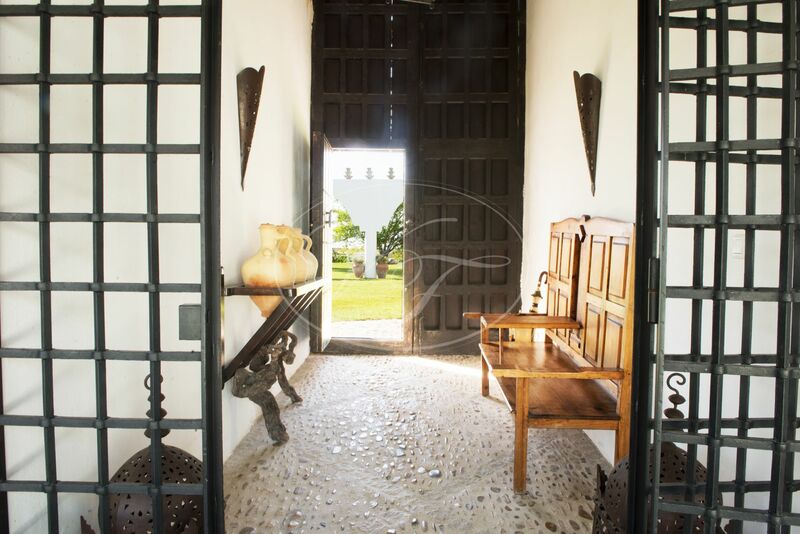 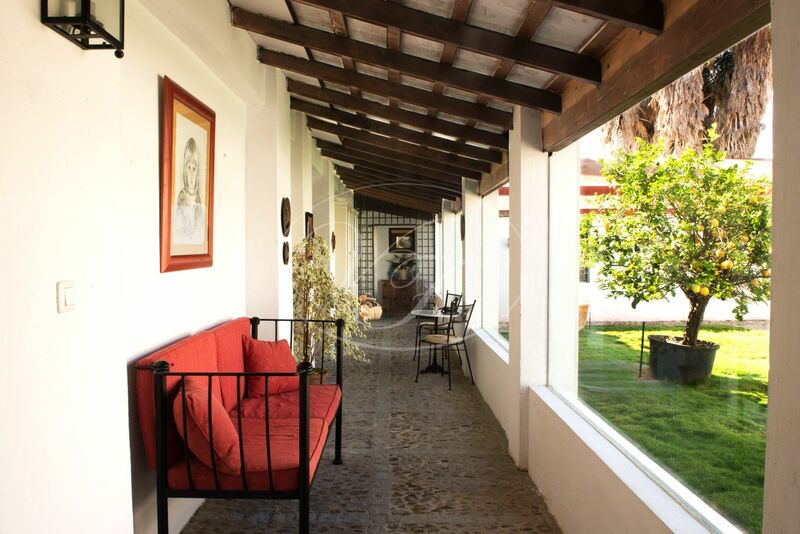 Outside areas are just as mesmerizing as the insides, with well-kept gardens; a large, deep pool and a variety of trees including palms, offering shade all around the finca. 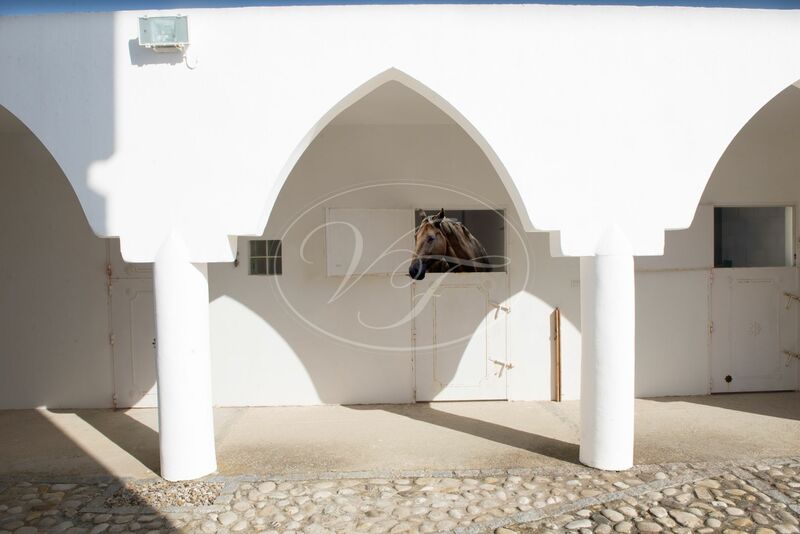 There are also some stables, which have been converted into offices but could easily be converted back into stables or something else. 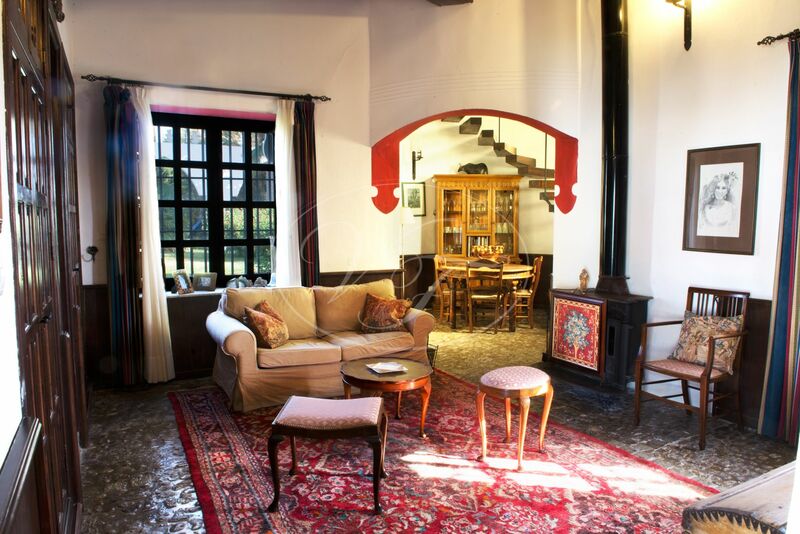 The property is connected to mains water and electric. 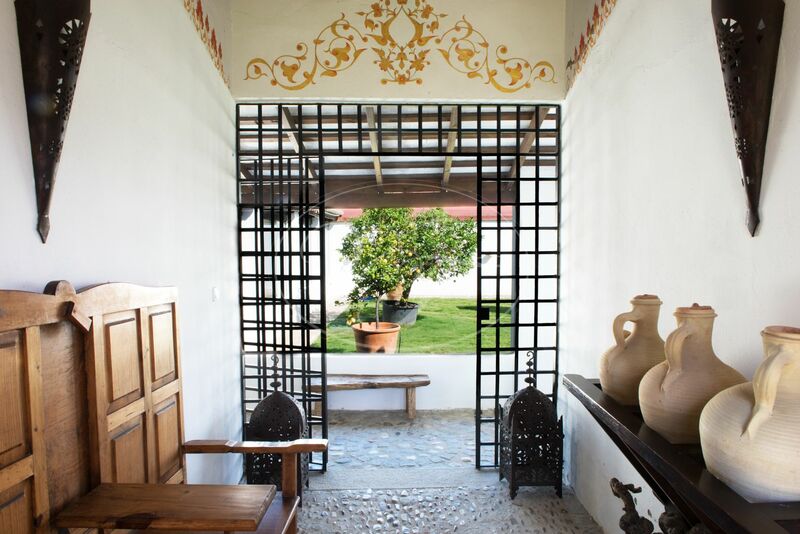 The well in the courtyard is used for the garden only. 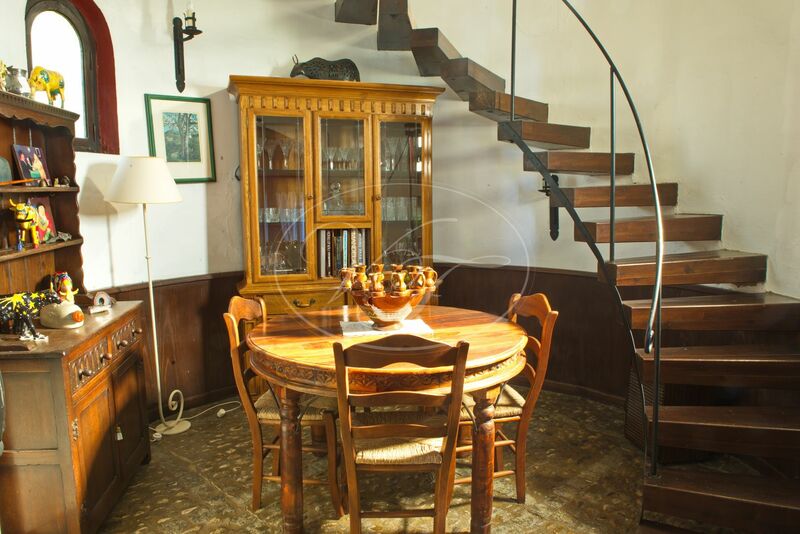 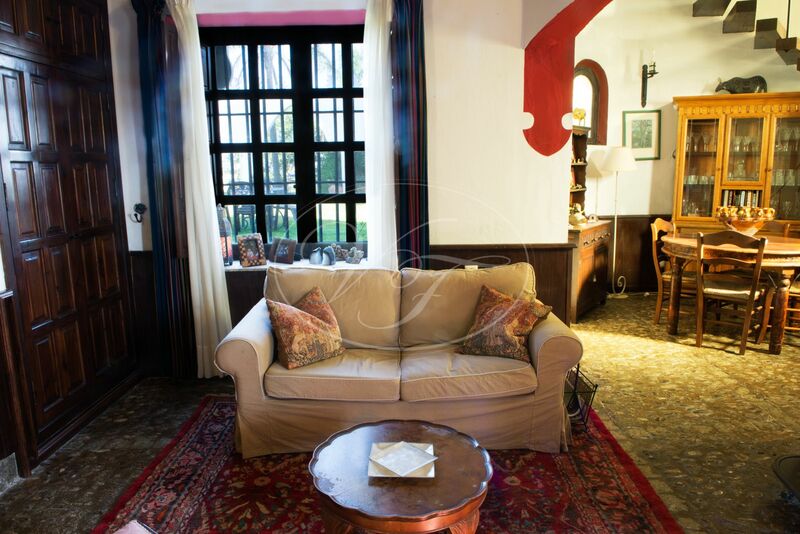 The house has air conditioning; some rooms have wood-burning stoves, central heating, telephone and WiFi. 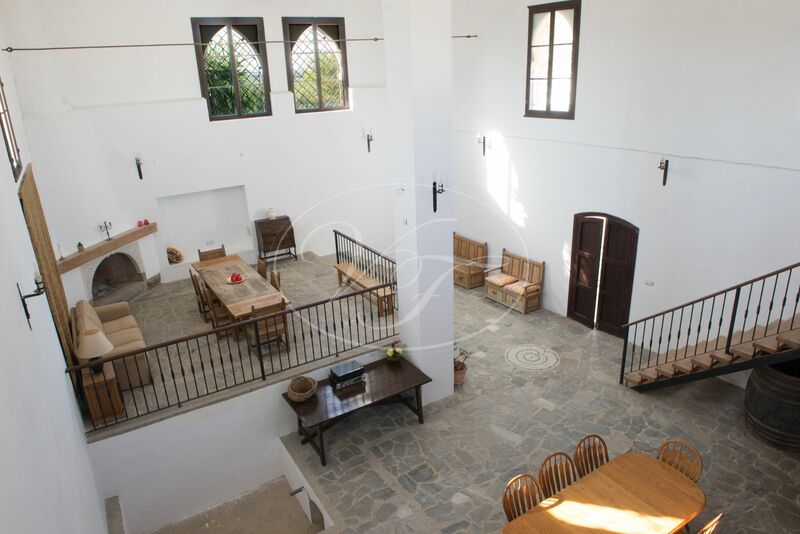 Currently, a guest house is being completed. 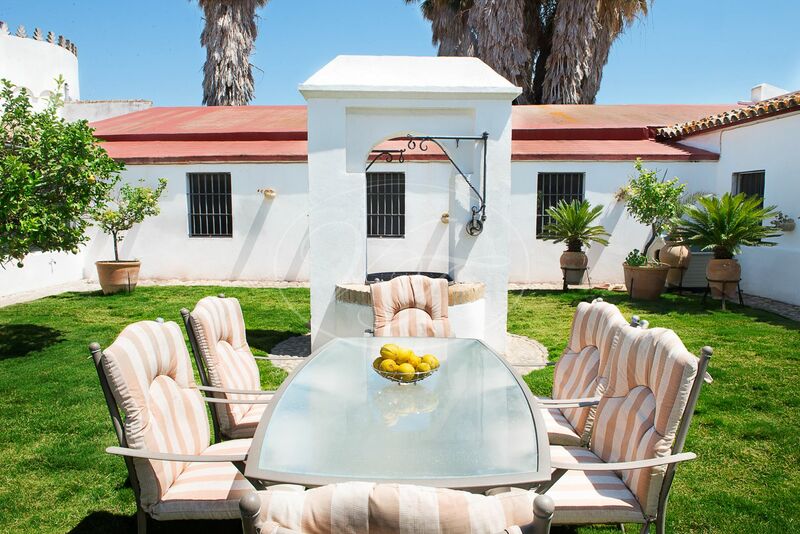 It is only three minutes from Las Dunas Commercial Centre, 10 minutes from the impressive Chipiona beaches and El Puerto de Santa María. 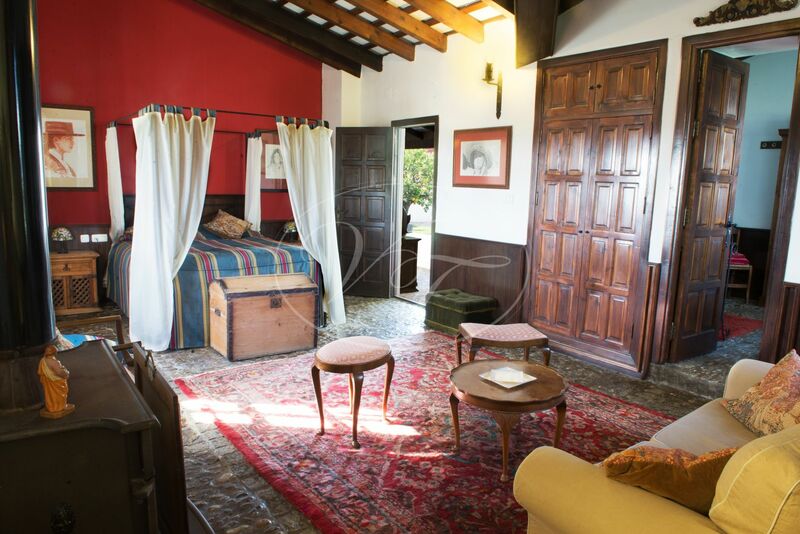 And it’s just 25 minutes from Jerez Airport, an hour to Seville and just over an hour and a half to Málaga. 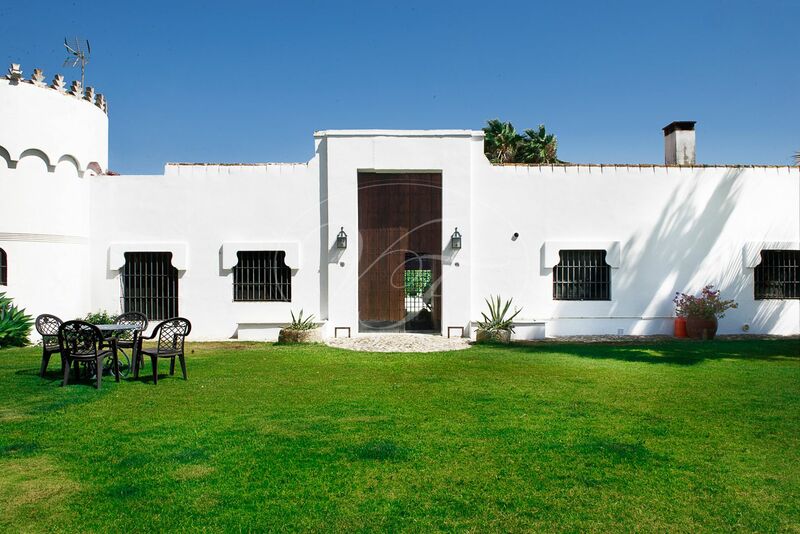 Please, send more information about ref 186-00697P, Cortijo in Sanlucar de Barrameda or similar properties.